Whether your dental needs are as simple as an exam and cleaning or as complex as full-mouth restoration Dr. Anderson strives to give you exceptional health care and to bring out the beauty of your smile. Not only does he provide quality dental treatments, but our dentist also shows you how to best protect your smile at home. Born in Massachusetts, Dr. Anderson graduated from Georgetown University Dental school in 1978. 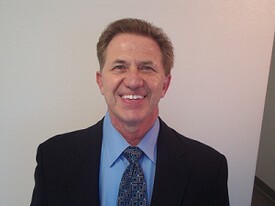 He believes in continuing education and providing his patients with the very best oral health care possible. Dr. Anderson's firm dedication to education began at a young age. His mother a teacher, and his father, who held an Ed-D from Harvard, was a superintendent of schools. As a result, the role of education was always of paramount importance in his life. As a young teenager, Dr. Anderson needed orthodontics. His case was particularly difficult, and he was sent to a world-renowned specialist in Boston. It was at this time that Dr. Anderson began to see the tremendous value of oral health care and it's ability to transform the health and well being of patients. When not in our Corona dental office or continuing his dental education, you can find Dr. Anderson experimenting with a new recipe from the internet, reading a self-help or an educational book, Dr. Anderson also loves listening to jazz music and will play his saxophone emulating his favorite musicians ....." He will not quit his day job!" He has made California his home for over thirty years. If you would like to schedule an appointment with Dr. Stuart Anderson, make sure to contact him today!